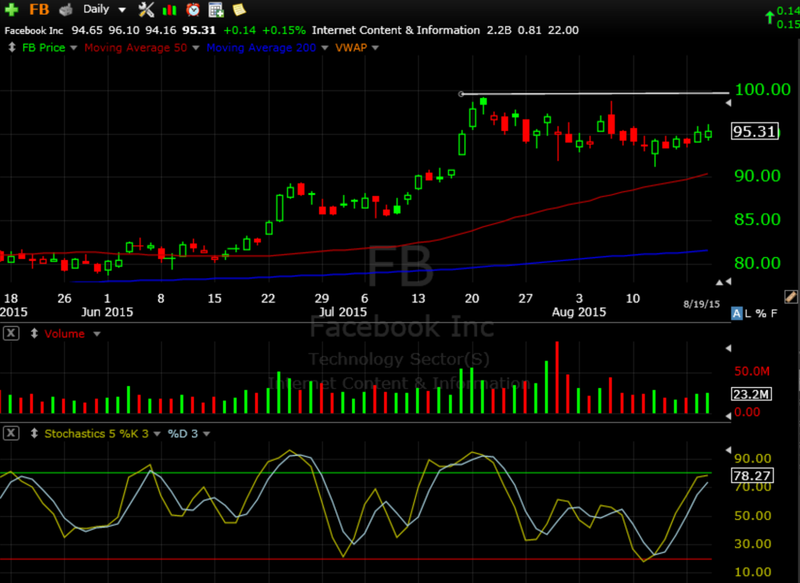 Today’s chart of the day is Facebook, which despite a tepid earnings reaction this quarter is showing strong relative strength versus the market and looks to make a run to $100. Keep an eye on this $100 level, which also is near the all-time high breakout level. Entry can be made on breakout or early in anticipation of the breakout. If you would like to learn more about how I trade, receive my nightly focus list with market analysis, setups and trade alerts, sign up for a 14 day free trial at BullsonWallStreet.com.